“You’re going where in the middle of winter?” That’s what all your friends will exclaim as you reveal your travel plans for next February. 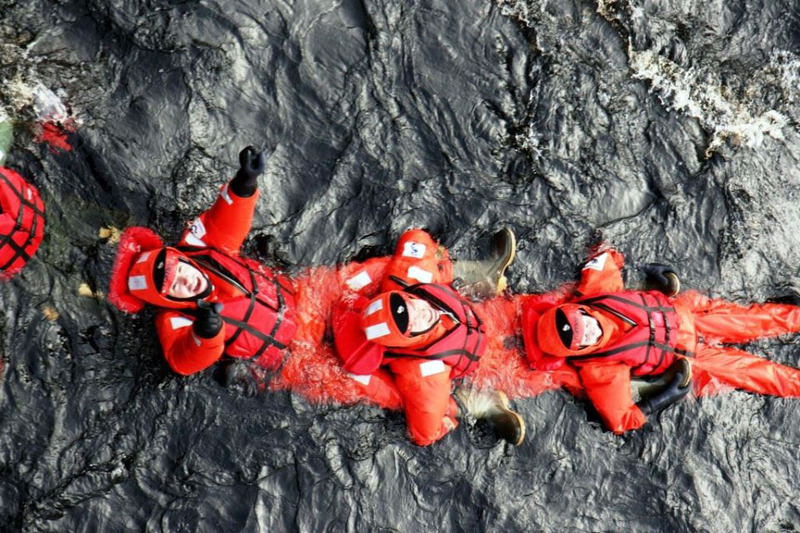 Will they understand the allure of the call to adventure that you are answering? To be in a magical place where every hour of sunshine is a Golden Hour due to the long slanting rays? To luxuriate in an isolated lakefront hotel which has been reserved exclusively for gay men from Europe and America? To cavort in winter revels during the day? 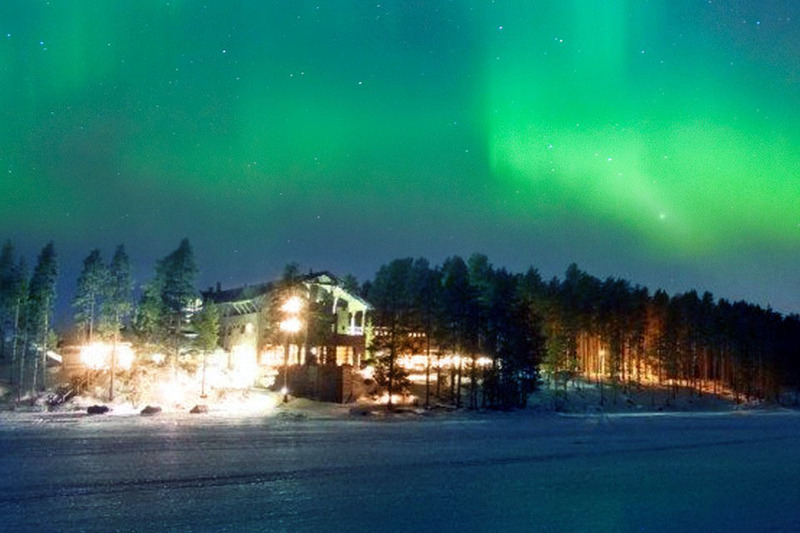 Then sauna, dine and dance the night away under a sky with countless stars and the possibility to see the Aurora Borealis? Welcome to Kuhmo, a small town in northeast Finland. Surrounded by ancient forests and crystal-clear lakes, this is a winter wonderland nestled in some of the deepest snow in Finland. 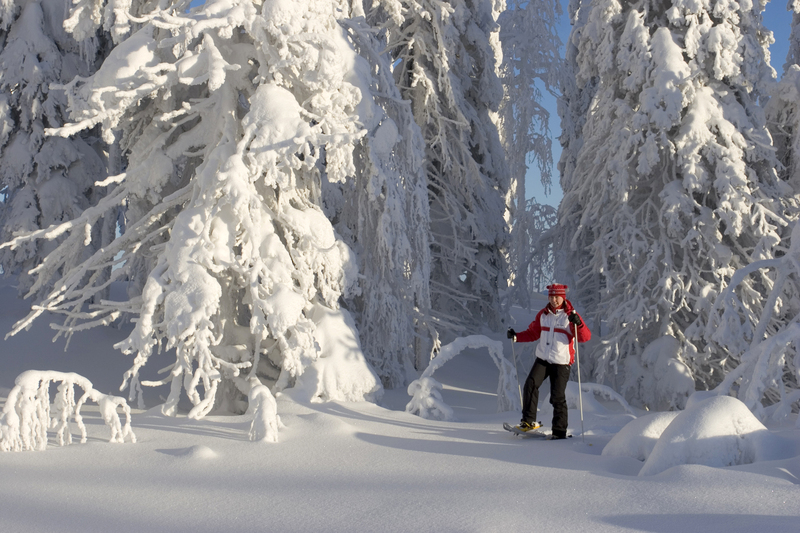 With nothing but unspoiled nature as far as the eye can see, Kuhmo is perfect for wilderness activities. This week-long adventure includes winter survival games, a snowmobile safari along the taiga forest, Finnish sauna treatments with birch branches, a husky dog sleigh tour, snowshoeing, ice fishing, cross country skiing, and possibly floating down an icy river! You’ll have an entirely new appreciation for this season after participating in our thrilling adventure in a Winter Wonderland! Entry Requirements - For citizens of the United States and Canada, all you need to enter Finland is a valid passport. Immunizations and Health - No immunizations are required, but it is wise to have a current tetanus booster. Exit Requirements - Your airport departure tax will be included in the cost of your international airline ticket. On this tour, international airfare is NOT included. You will need to get your international air to Kajaani, Finland (airport code KAJ), and back from there to the U.S.A. We encourage you to work with Steven Goldberg at Frosch Travel in Chicago, who can find you the best flights to get to Finland and back again. You need to arrive in Kajaani by the afternoon of Saturday, February 1, 2020. Your departure from Kajaani will be on Saturday, February 8, 2020. When calling, please identify yourself as a Toto Tours participant. If you leave a message on Steven’s voice mail, he will return your call promptly. He will be happy to discuss your travel plans and help you decide when to purchase your ticket for the best rate. NOTE: The recent trend in travel is for travelers to finalize their plans much closer to departure time than was customary in the past. While we try to be as flexible as possible we often must turn away last minute registrants because we relinquish hotel space and air reservations 8 – 12 weeks prior to departure! Please keep this in mind when making your travel plans. In February, the average daily temperatures in Central Finland will range from a low of 9 degrees to a high of 20 degrees F. This is truly an outdoor winter adventure, so you will want to think about bringing items that will enable you to cover and protect every square inch of potentially exposed skin. You have the option of renting a thermal overall (suit, hat, gloves, socks, boots) from our hotel for $80 for the full week. This must be booked in advance, with clothing and shoe sizes. If you don’t rent this equipment, you will need to bring your own winter gear including jacket, pants, winter boots, wool socks, gloves, hat, scarf or other face covering. Pack any medications you require in a carry-on bag and leave expensive jewelry at home! Proof of citizenship. Passport required. Long pants (2-3 pairs), belt. Heavy-duty waterproof winter boots (if not renting). Long underwear (tops and bottoms). Socks and underwear for 7 days. Sweater or fleece for additional warmth. Winter coat with hood for outdoor excursions. Head warmer (wool hat, ear muffs) scarf, insulating gloves or mittens. Electrical Adapter. The electricity supply in Finland is 220 volts. Electrical plugs in Finland require two round prongs. Click here to see what type of adapter to bring. Finland uses the standardized Euro (EUR). We recommend that you take out a small amount of local currency to use for basic expenditures. You can use credit cards at our hotel for purchases, spa treatments and optional activities. We will provide suggested tipping guidelines prior to departure, and will present a collective tip to drivers and guides at appropriate points throughout the tour. We have reserved only ten rooms out of the 44 (plus 3 suites) total rooms at the hotel, so our space is limited. Join us, and you’ll never look at winter the same way again! If you have any questions, please email us at tototours@gmail.com. We recommend you purchase travel insurance with Travel Guard to cover for unforeseen events prior to and during your trip. Please follow the link below or call us for more information. Note: The tour price does not include bank service charges for processing credit card payments, and assumes that the balance of the tour price will be paid by check. If you would like to pay the final balance with a credit card, a 4% service charge will be applied. Let us know if you wish to pay by credit card, and we will adjust your invoice accordingly. Included: 7 nights hotel accommodations; transfers between the hotel and Kajaani airport, all meals during your stay; guided activities: snowmobile safari, husky safari, cross-country skiing lesson and equipment, snowshoe tour, winter survival games; free use of saunas, indoor and outdoor jacuzzis daily; special peat sauna; “Finnish Mystical Magic” evening; free use of kick-sleds, sleds, toboggans, Wi-Fi. Not Included: International airfare to Kajaani, Finland (KAJ); optional activities not specifically listed as included in the itinerary; camera fees; soft drinks and alcoholic beverages; insurance; laundry, telephone calls, faxes, or any other expenses of a personal nature. Tips to drivers and guides and other conveyance attendants are not included; tipping guidelines for our group tips will be provided prior to departure. - It is possible to arrive a day early or depart a day later. Extra nights start from $100 per person, including dinner and breakfast. - Winter gear (thermal overall suit, hat, gloves, socks, boots) can be rented for $80 for the week. This must be booked in advance with clothing and shoe sizes provided. 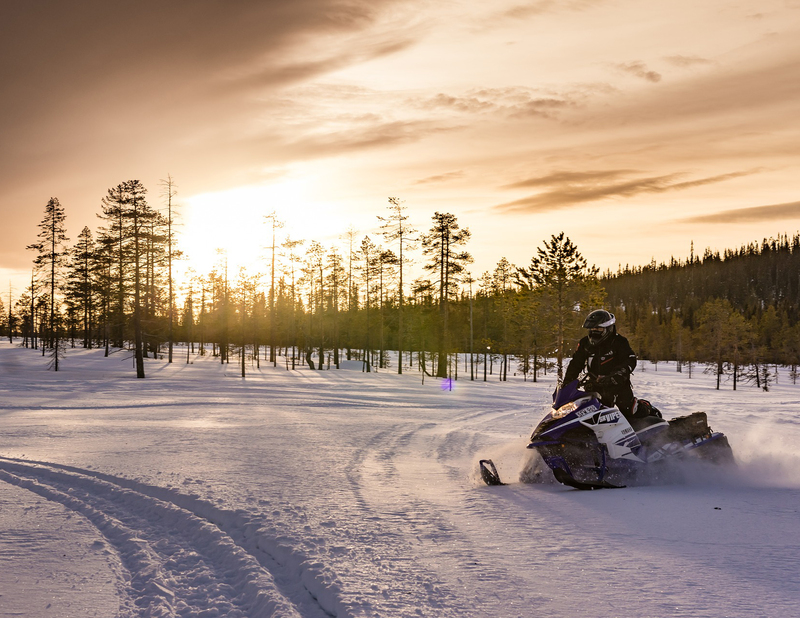 - A driver’s license is required to drive a snowmobile. - We reserve the right to change the order or content of the program if necessary due to the weather or other conditions. Our percentage of repeat customers is often as high as 70% on any tour. This indicates that people find it worthwhile to return to Toto Tours again and again to experience the fun of gay adventure travel in different settings around the world. Come with us, and see the world as you have never seen it before -- IN TOTO!